Getting started with Native & Search, from Verizon Media’s Oath Ad Platforms, is easy and fast. You’ll find everything you need to create your first ads and ad campaigns, as well as take advantage of the reporting and targeting tools that are available for Verizon Media advertisers. Once you sign up, you’ll be off and running with your first ad campaigns, navigating the powerful features of the Native & Search UI and maximizing the return on your ad and campaign investments. Verizon Media’s full suite of technology solutions is provided for advertisers, agencies and publishers. The new brand (shown below with this logo) replaces BrightRoll, Gemini, ONE by AOL, and Yahoo for Publishers. The suite activates Verizon Media’s trusted data, high-quality inventory, innovative ad experiences and industry-leading programmatic algorithms in a more unified way. A new, rebranded user interface, with Native & Search, follows the same form and functionality of Gemini but with a different look and feel. Every month, more than one billion people visit Verizon Media properties to search, read the news, and check email, sports scores, stock quotes and more. Your customers are out there. Native & Search puts you right there in front of them - in the right way at the right time. Verizon Media harnesses the powers of search and native advertising into one unified, self-serve solution. By bringing search and native ads together, Verizon Media lets you manage and optimize your ads in one place. You can drive greater performance through powerful reports and insights, and only pay when you get results. 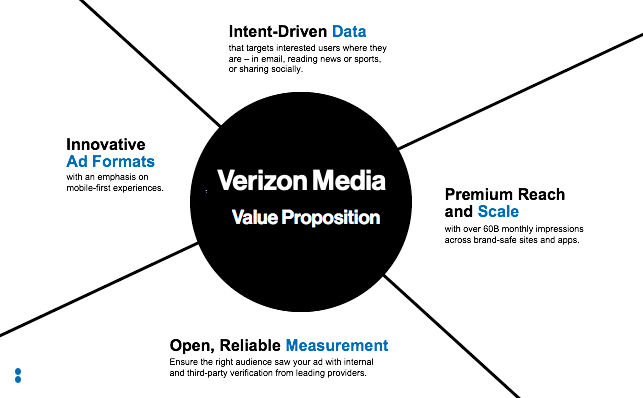 The Verizon Media Advertiser Guide provides you with a robust collection of articles and how-to guides, so you can get rapidly up to speed and take advantage of Oath Ad Platforms advertising features and capabilities. 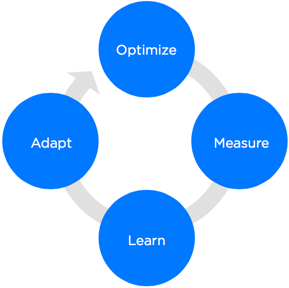 Think of the Virtuous Cycle in advertising by which you learn, adapt, optimize and measure the effectiveness of your ad campaigns. Use the topics in the Advertiser Guide to learn and explore. Learn the basics about Native & Search Ads and get started creating ads for your campaigns. Create your first Native & Search Ads & Campaigns and learn how to manage campaigns and ad groups. Take advantage of Native & Search How-To’s that provide you with tips & techniques for creating campaigns that drive traffic to your website, raise brand awareness, get more clicks on your website. Learn how to create native ads with images and videos for best results and return on investment. Check out our robust collection of FAQs for Ad basics, Ad & Campaign Creation FAQs, Billing FAQs, Reporting FAQs and other topics of interest. Didn’t find what you were looking for? Send us an email at OathAdSupport@oath.com. We’d love to hear your ideas, suggestions and feedback. Email the Verizon Media Team at OathAdSupport@oath.com. Check out Verizon Media’s unified suite of intelligent advertising and publishing solutions at Oath Ad Platforms. 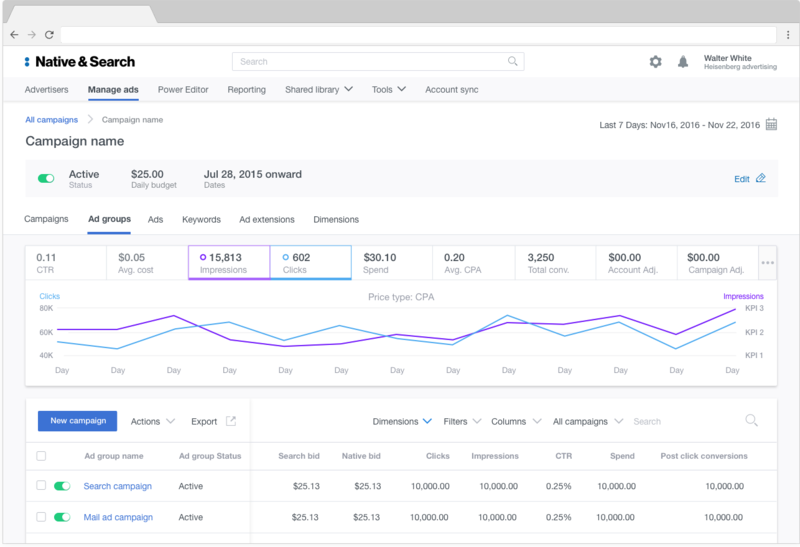 Learn how Oath Ad Platforms can help your business at Oath Insights.